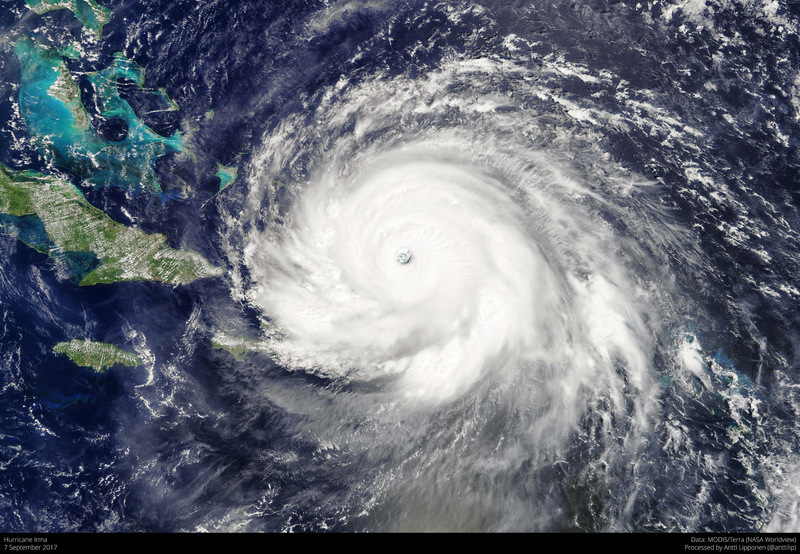 Hurricane Irma has caused at least 68 deaths, left millions without power, and cost billions of dollars in damage in the Caribbean and southeastern U.S. Coming on the heels of Hurricane Harvey, the scale of assistance needed can feel daunting. Still, many donors are asking, “How can I help?” Key principles remain the same as in other natural disasters; here’s where to start. Many people are moved to send items such as food, clothes, or blankets to affected areas. While well-intentioned, such donations frequently don’t match what is actually needed. When unneeded supplies are sent, staff time and storage capacity is taxed, and items can be left unused or damaged. Unless local organizations specifically request certain items, stick to giving money. Bob Ottenhoff, CEO and president of the Center for Disaster Philanthropy, recently told the Miami Herald that people also shouldn’t travel to affected areas—including to bring items—unless they’re part of a coordinated effort with a relief organization. “It’s well-intentioned, but it basically just sort of adds to the confusion rather than helping,” he said. Think large and small organizations. Americares is working with its network of over 80 medical facilities and other partners in Florida, as well as in the Caribbean, to ship medicines and medical supplies. Catholic Relief Services and sister organization Catholic Charities USA are working both in the U.S. and the Caribbean to provide shelter, water, hygiene kits, and other supplies to families, as well as cash assistance when appropriate. Direct Relief is assessing damage and providing medical assistance in Florida health facilities, as well as sending medicines and supplies to affected Caribbean areas. Save the Children is responding in Florida and the Dominican Republic by procuring baby and toddler items for families and providing Child Friendly Space kits to give kids a safe place to play while in shelters. As the situation begins to return to normal and school resumes, Save the Children will help provide school supplies and other supports to families. Although they may take longer to identify, local, often smaller, organizations have knowledge and networks that allow them to quickly assess changing priorities and get help to many of the most vulnerable groups faster. For example, Feeding South Florida, the Feeding America foodbank serving south Florida, is sending water and supplies to Florida Keys victims. You can find other local organizations through the National Voluntary Organizations Active in Disaster. According to the Florida Philanthropic Network, a number of local foundations have also set up funds to collect donations to address a variety of immediate and long-term needs. For example, Florida’s First Coast Relief Fund is run in collaboration with local partners, including United Way and the Jessie Ball duPont Fund, who vet local organizations and distribute funds according to local needs. Since those affected by a disaster are the experts on their own needs, local funds like these can often have the greatest impact. Consider giving for longer-term needs. FEMA representative Michael Riedy estimated that for every day of immediate relief after a disaster, at least ten days are required for mid-term recovery and at least 100 days are required for long-term recovery. That means that it will likely take years for areas affected by Irma (and Harvey) to fully recover. Right now, attention is focused on addressing the immediate needs and security of survivors. After these immediate, basic needs are met, those affected will need continued support to rebuild and recover. Each phase brings different needs and different players who are best-positioned to provide help. Although giving in disaster situations tends to decline after the first few days, often funders can have the biggest impact by paying attention long after the initial headlines fade. Consider giving to organizations like GlobalGiving and Center for Disaster Philanthropy who have already set up pooled funds to channel money to local grantees for long-term rebuilding efforts, and have expertise with disaster relief granting and best practices across the globe. For those interested in supporting both immediate relief and long term rebuilding on the island of Barbuda, which experienced extensive damage, the International Community Foundation has set up a Barbuda Recovery and Conservation Fund in partnership with the Waitt Institute and Waitt Foundation. The Miami Foundation has also set up three Irma-related funds, including one dedicated to rebuilding on affected Caribbean islands. The situation in Florida and the Caribbean will continue to evolve. As more information becomes available on how philanthropy can help in the aftermath of Hurricane Irma, we will update our guidance. For our guidance on Hurricane Harvey, click here. Sign up to receive emails with our latest blog posts. Hurricane Maria: How Can I Help?